In 1993, Effie Andriotis was 19 years old. Just out of hairdressing school, she joined Nic Mancini’s salon. Run out of his house on Riverside Avenue, it was one of Westport’s most popular spots. Four years later, he retired. Effie moved on. 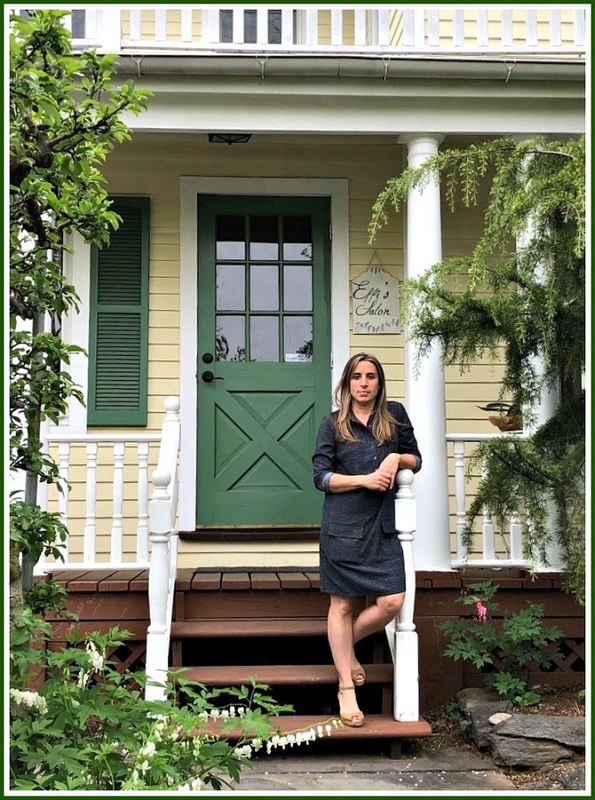 At 26, she opened her own place on Post Road East. She remained there — opposite Calise’s — for 17 years. 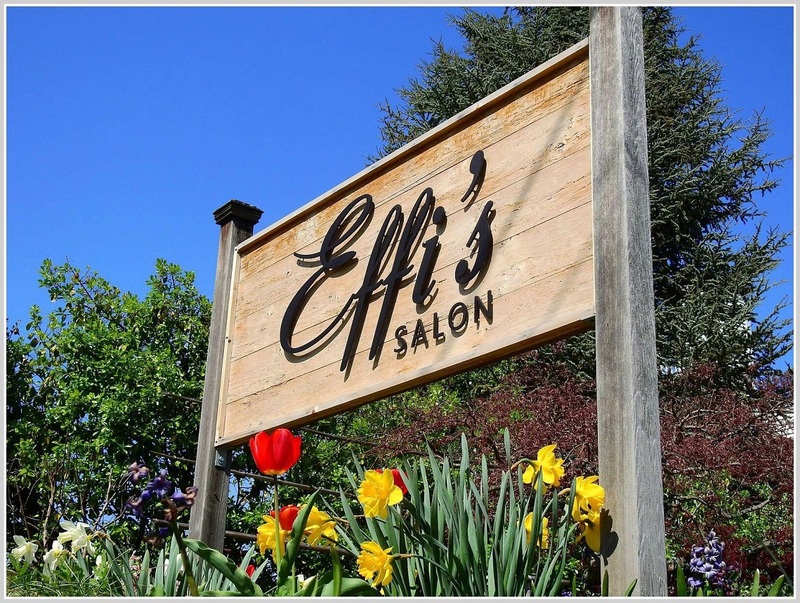 Effi’s Salon (there is no “e”) developed a large and loyal clientele. All along too, she thought fondly of Riverside Avenue. Driving around several months ago, she saw a “For Sale” sign in front of the property. Immediately, she called Nic. He’d put it up just the night before. That was no idle chatter. She did. Which is how Effie is right back where she started, a quarter century ago. Her clients have followed her there. Especially now that Effie is back. This entry was posted in Local business, People, Saugatuck and tagged Effi's Salon, Effie Andriotis, Nic Mancini. Bookmark the permalink. Welcome back to your roots. Wish I had some hair. I’m very happy for you, and I love the new/old spot. There is something nostalgic about being back where you started. Congrats, kid. My old stomping grounds. Very happy for you. Tell your neighbors at Viva Zapata ( Bob’o, Harty, Yi and Ann)I say hello. Effie’s new/old place is beautiful and has the same great vibe as before! Effie is an amazing, loving and talented person who mentors and helps so many others. And she attracts wonderful people – both employees and clients. I credit her with leading me to the spiritual path I am on now – thanks, Effie! Love Effi!! She is a wonderful, talented , caring person and I wish her all the best at her new old /place!! Dan you must have extrasensory perception! I had been going to Effi’s salon on Post Road since I moved to Westport six years ago. I love the esthetician and waxing expert there named Aleksandra, she is wonderful!!! When they announced they’d be moving across town I was sad. With young kids still in nursery school, it’s challenging to fit everything in before pick-up each day, so I put off going to the new location for six months. Ironically enough I had just come from my first appointment at the new Effi Salon when you posted this. Upon arriving at the new digs I met Effi outside for the first time. What a lovely, hard-working, dedicated person. She escorted me into their new home. I was astonished how easy it is to get to the new location from my house across town. Parking was a breeze and it felt like a special destination now, not just a drive through appointment in a strip mall. It was great to reunite with Aleksandra. I’ve already made my next appointment.